Having trouble indoors with your new Cricket Wireless service? You’re not alone — there are tons of people out there that just have trouble getting good cell coverage indoors, no matter what network they seem to be on. It could be because of problems with the network itself, or might even have to deal with the construction of your home. If there’s any sort of metal or steel beams in your walls, that can really put the kibosh on good cell coverage inside the home or office. The problems seem to be more common with smaller carriers like Cricket Wireless as well. So, if you’re on Cricket Wireless and you’re having trouble with your network, then we have a problem to fix. If you want to increase your indoor coverage, then we recommend looking at a cell signal booster for Cricket Wireless. If you want to follow along below, we’ll show you some of the best rated ones on the market. 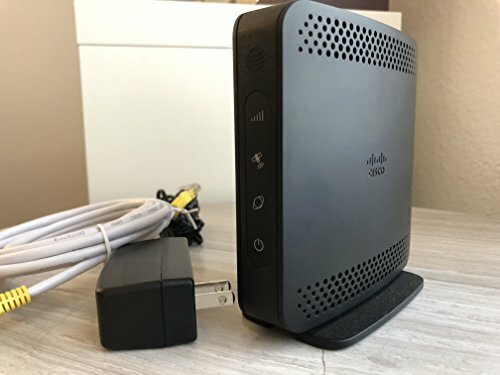 For those that have larger homes, you may want to consider what the weBoost Connect 4G-X model has to offer. If you’ve got dead zones throughout your home, you’ll be able to depend on the weBoost Connect’s 7,000 sq.ft of amplifying coverage. Like we said, it’s fantastic for large size homes, eliminating dead zones through all of your floors. The only thing you might still have trouble with is basement coverage (if you have a basement), as signal strength traditionally drops when there is concrete and metals weakening the frequency. With a weBoost Connect, you can say goodbye to dropped calls and say hello to better download and upload speeds thanks to better signal strength. You should also get much better battery life out of your phone, as your device won’t be constantly trying to find something better than a weak signal or No Service. The weBoost Connect will work with any network in the United States, including Cricket Wireless. 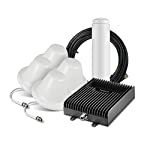 Don’t need something nearly as powerful as the weBoost Connect 4G-X? Then you should consider its cheaper competitor, the SureCall Fusion4Home. It doesn’t cover nearly as much square footage, but it will work for a standard America-sized home up to 3,000 sq.ft. It’ll remove a good amount of dead zones in your home, but the way it outputs an amplified signal means you may not get the best amplified reception in upwards or downwards floors, so be sure to put the signal booster in the floor where you’re having most problems. You don’t have to worry about the type of frequencies that the Fusion4Home amplifies, as this cell signal booster will bolster LTE, 4G, and 3G frequencies. 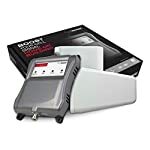 Keep in mind that, in addition to having to strategically place your cell signal booster on the floor level that is the most problem, your amplified signal is going to directly be a result of how good the signal is outside of the home. If it’s weak, you’re not going to see huge improvements. Also consider the Phonelex GSM Booster. This is an excellent GSM Booster for areas that don’t have access to LTE or 4G networks. There are still many areas across the US that are stuck on 3G, and these are primarily rural communities and areas where residence is low. That said, these areas usually experience bad 3G coverage as well, particularly indoors. By picking up the Phonelex GSM Booster, you won’t be able to solve a weak signal outside, but if you have a good 3G signal, you should be able to solve the bad signal indoors. Next we have the weBoost EQO 4G. This cell signal booster is designed to help you out with smaller spaces. It can boost LTE, 4G and 3G speeds, but only through a 500 sq.ft area. That means that the weBoost EQO 4G is more optimal for, say, boosting the signal in a home office, possibly even a couple of rooms depending on the sizes. With this booster especially, you have to be strategic in where you place it to maximize your signal strength. Last up on our list is the SureCall Fusion 5X. If you’ve stuck with us through this list, you can see that that many of the cell signal boosters on this list are not designed for commercial applications. 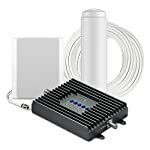 That is, unless you consider the weBoost Connect to be an optimal commercial cell signal booster, you might want to consider what the Fusion5X has to offer. It’s able to amplify LTE, 4G, and 3G signals throughout a 20,000 sq.ft area. This makes it perfect for offices, warehouses and even factory floors — it’s especially useful in the factory, as they traditionally have a bad signal because of the metals weakening the frequency. With the Fusion5X, you can make it a whole lot better. If you’re a homeowner (or even a renter), the Fusion4Home or weBoost Connect 4G-X are great cell signal boosters to pick up. If you’re in an area with 3G coverage, the GSM Booster is a great option as well. 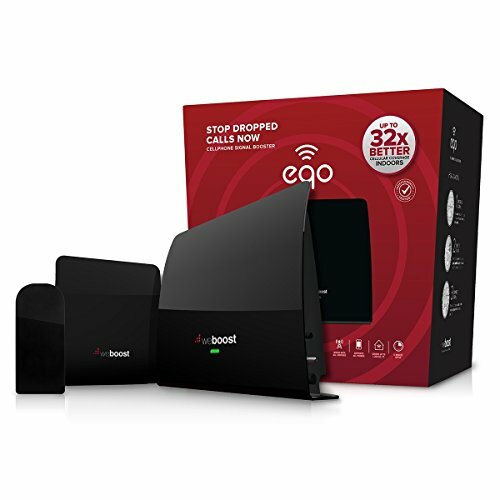 And if you have a small space that you need to cover, you might find the weBoost EQO 4G more suitable for your needs.